Lisa’s practice spans a variety of water and utility matters, including stormwater and wastewater permitting and enforcement for individual localities and authorities and related regional and state-level policy matters including the Chesapeake Bay cleanup and biosolids recycling. Lisa has worked throughout EPA’s Mid-Atlantic Region and beyond, and routinely advises and represents wastewater and stormwater utilities through the Maryland and Virginia Associations of Municipal Wastewater Agencies (MAMWA and VAMWA, respectively), the Maryland Municipal Stormwater Association (MAMSA), and the Virginia Municipal Stormwater Association (VAMSA). Currently, a significant portion of Lisa’s practice involves counseling localities on Phase I and Phase II MS4 permit development and compliance in Virginia, Maryland, Delaware, West Virginia, Missouri and Kansas. She has also spoken extensively on municipal stormwater issues of critical importance to MS4 owners. 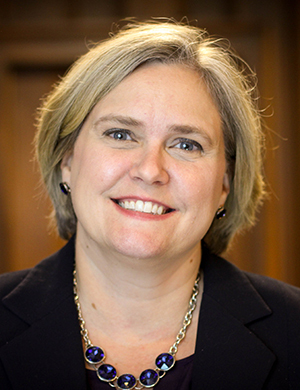 Immediately prior to joining AquaLaw in 2008, Lisa served as Assistant City Attorney for the City of Richmond, Virginia, where she was principally responsible for advising the Department of Public Utilities on water, wastewater, stormwater, natural gas and electric streetlight utility matters. Lisa advised the Virginia capital city in its successful formation of a stormwater utility, including drafting the necessary ordinances. Lisa’s experience also includes prior public service as legal counsel in the Pennsylvania Office of Consumer Advocate, where she represented consumers on water, wastewater, gas, electric and telephone utility matters, including cost-of-service ratemaking, before the Pennsylvania Public Utility Commission. Lisa also represented municipal gas utilities and electric cooperatives before the Federal Energy Regulatory Commission while in private practice in Washington, D.C.